Man Time, Woman Time | Knit Like You Mean It. 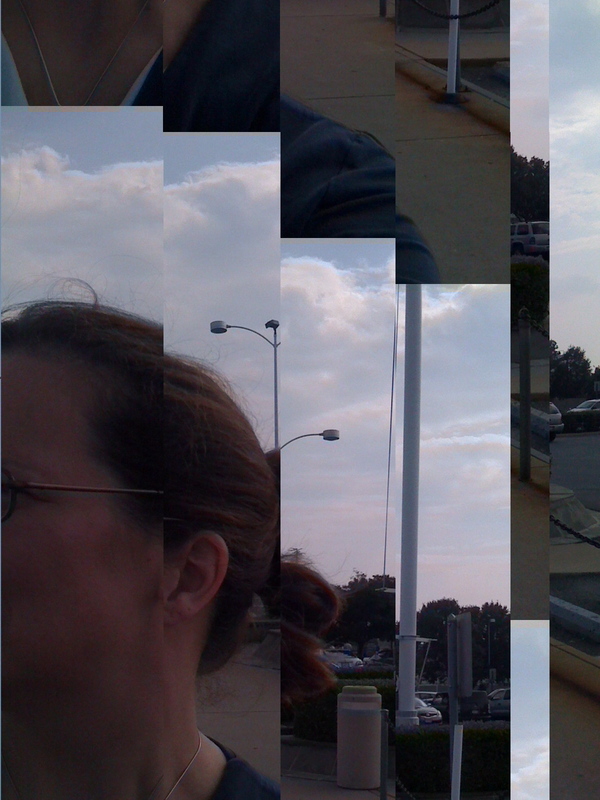 Sometimes my iphone camera stutters like this when I click the shutter at the same time as mail comes in. This weekend Andy is Taking Time Off: not fretting about any of the pressures in either of our lives, not doing anything he doesn’t want to do (work; errands; etc), and, conversely, doing whatever he wants to do. It’s kind of fun to indulge him like that for a weekend, especially since we usually enjoy similar things, anyway. It’s what we do for each other’s birthdays, too. Us eating BLTs for dinner and watching “Lonesome Dove” tonight. It’s also meant he’s much more relaxed, and, indeed, so am I. Briefly considered the idea that we could trade off: if I got next weekend off, we could watch “The Imposters” and eat gluten-free pizza all weekend. And I would teach Andy to knit. Hey, a girl can dream, can’t she? Of course, every weekend should be time off in just this way. I think it’s worth trying to do more during the week so we can do fewer errands over the weekends. Something to strive for, anyway. Meanwhile, today I saw my uncle (JaneLawton‘s brother), aunt, and cousin off at National Airport. We sat outside the security checkpoint for a while, talking about my mother and her house, how to get through the death of a parent, uplifting things like that. It’s hard, but it’s good to talk about her and hear about how other people have survived loss. After they left I sat in the rocking chairs in Terminal A where you can watch the planes take off, and cried about Mom. I didn’t cry much after the first week or so after Mom died; I think I felt it would be a sign I was backsliding or not doing well. But these days it seems to me that it’s healthy to cry and it’s better just to do it than to hold it in. 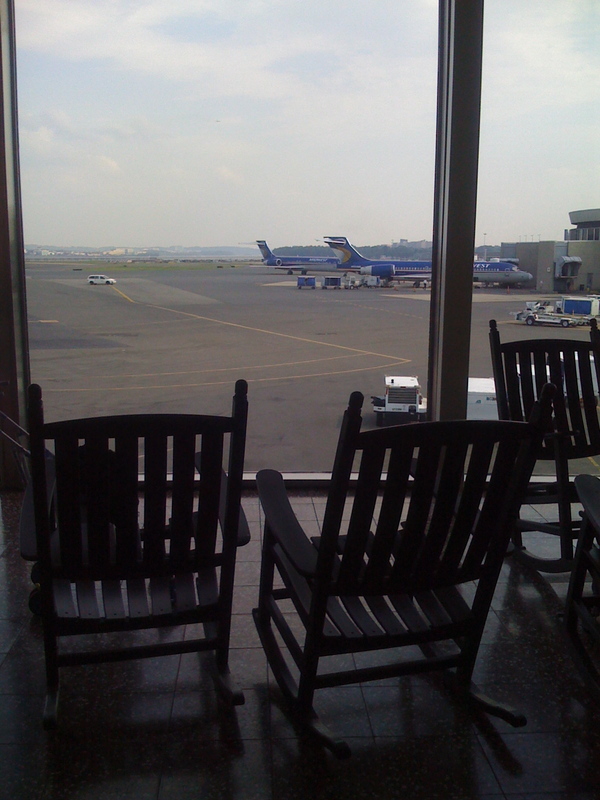 So: I cried in the rocking chairs at the airport. It didn’t kill me. I felt better afterwards. Etc. Man Weekend: movies, Nerf blaster, food indiscretions. Woman Weekend: knitting, weeping, trip to the airport. There are days I really don’t see the point in being a girl. On the other hand, we do get to live longer. ← Acknowledge, and Press On.